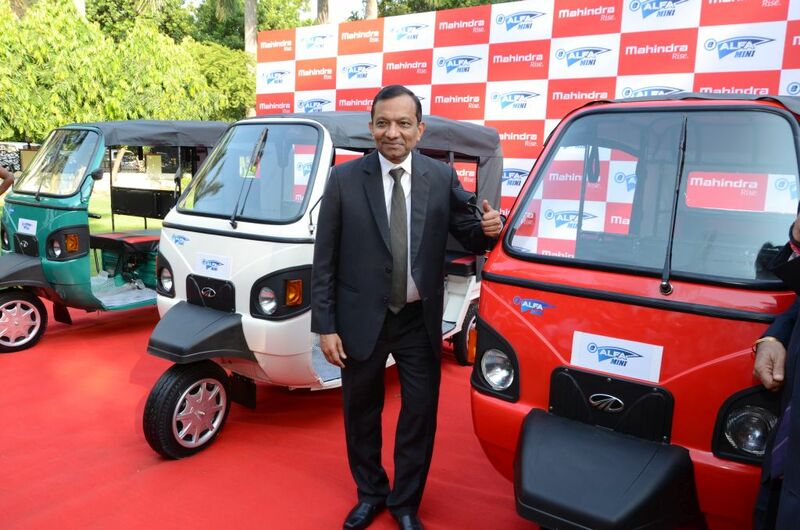 Mahindra has launched e-Alfa Mini electric rickshaw in India at a price tag of Rs. 1.12 lakh (ex-showroom, Delhi). The three-wheeler has been designed to provide zero emission last mile transportation solution. The homegrown automaker claims, this electric rickshaw has been developed keeping the Indian government’s strategy to introduce pure electric mobility across the country by 2030. The Mahindra e-Alfa Mini electric rickshaw will be available in Delhi with immediate effect. It comes with a 4+1 seating capacity and it has been specially designed keeping the Indian road conditions in focus. As the company claims, the e-Alfa Mini boasts tough and rugged Mahindra DNA. It is expected to help in reducing the alarmingly high pollution level in national capital region. The company will launch the electric rickshaw in Kolkata, Lucknow at second phase and later in other cities. Mahindra e-Alfa Mini is powered by a 120Ah battery combined with a powerful electric motor and a controller. This electric rickshaw can travel up to 85 kilometer in normal conditions on a fully charged battery and it can run at a top speed of 25 kmph. Mahindra is also offering 60 minute fast service guarantee with this electric rickshaw and a best-in-class 2 years warranty as well. Also, Mahindra is offering industry-first one battery free replacement as well. The company claims that, it gets best-in-class product quality with robust design, spaciousness and good quality suspension. The Mahindra e-Alfa Mini also promises to deliver great performance and higher earn ability for the owners. To help the buyers, Mahindra will provide the facility of low down payment and attractive EMI options. Mahindra is currently the only Indian automaker that produces and sells pure electric vehicles like e2o Plus, everito, eSupro and now the latest addition in this list is the e-Alfa Mini. With India gearing up to adopt zero emission electric mobility by 2030, Mahindra aims to consolidate its spot in the EV market of the country.